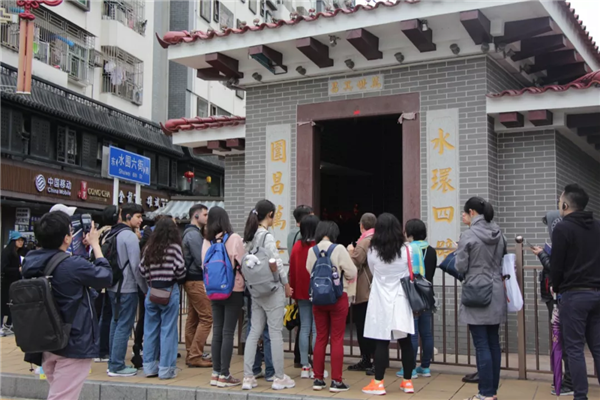 “I am a new Shenzhener, and it is such a wonderful experience that I was led by an American to check out the history of my town,” said a participant in her online blog published on www.toutiao.com, after she took part in a weekend cultural tour in late March, led by Mary Ann O’Donnell, an American anthropologist who has been based in Shenzhen since the 1990s and is dearly nicknamed “Lao Ma” by her Chinese friends. 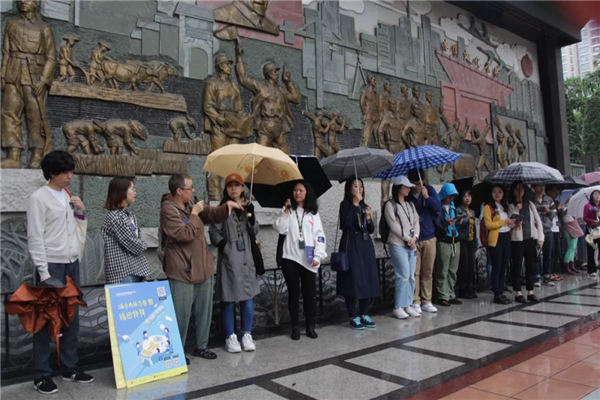 The Shuiwei tour, organized by Handshake 302, a nonprofit public art organization, and sponsored by Shenzhen Futian Youth League and One Foundation, was one of a series of bilingual tours entitled Urban Flesh and Bones that took visitors to a total of seven places with cultural and historical significance in Shenzhen. “Join us for an afternoon of rediscovering the city we all love,” said the slogan on the tour pamphlet for Shuiwei. 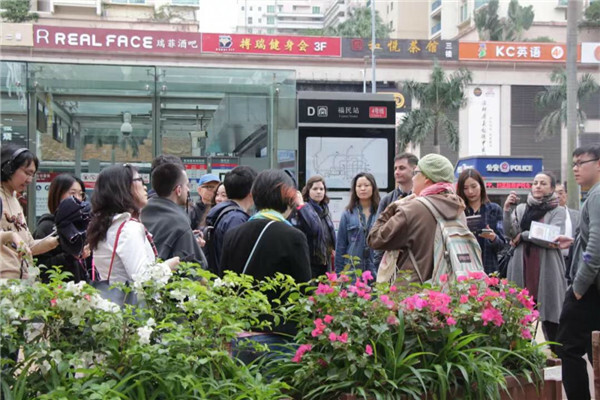 The English-language guided Shuiwei tour attracted dozens of dynamic participants, ranging from a professor from Yale University who happened to be in town for a week-long research trip, to a Spanish student who just moved to the city from Hong Kong a month ago to learn Mandarin, and even a man who came expressly from Guangzhou to join the tour. 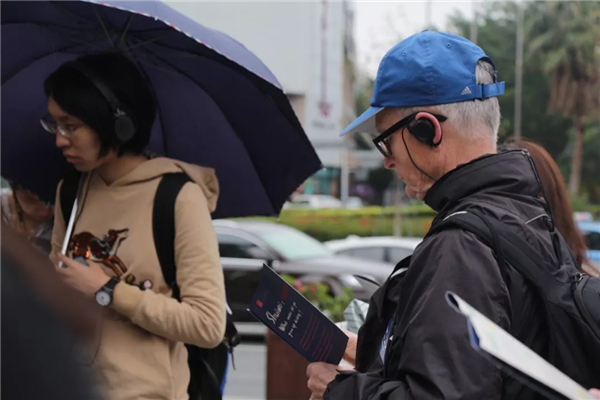 A participant reads a guide pamphlet. 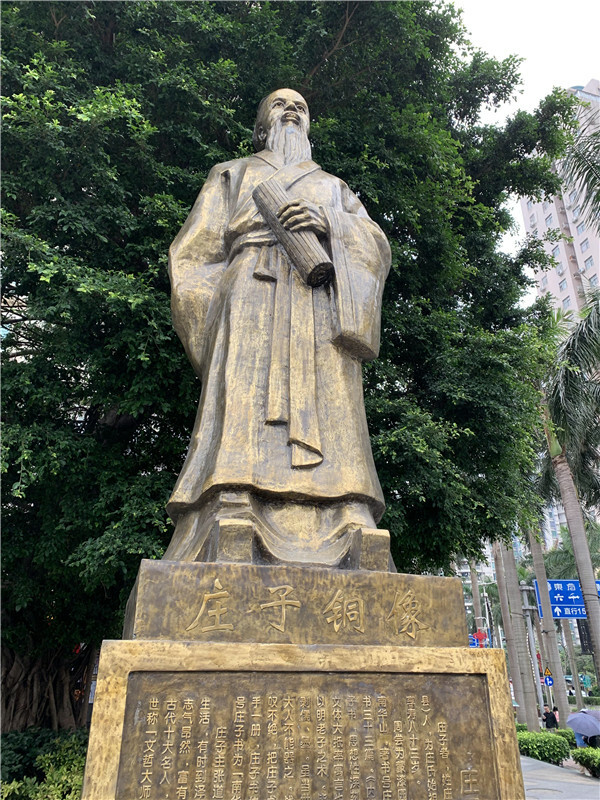 Hop onto the city metro, transfer to Line 4 or 7, get off at Fumin Station, walk a few steps, and you will soon get a glimpse of the bronze statue of Zhuangzi, or Zhuang Zhou, the ancient Chinese philosopher who lived around the 4th century B.C. during the Warring States Period (475-221 B.C. ), famous for his Taoism works as well as his dream of turning into a butterfly, or rather, a butterfly turning into himself. Mary Ann O’Donnell introduces Zhuangzi to participants. So why put a Zhuangzi Statue here, you might wonder. It turned out that the 48th-generation grandson of Zhuangzi, Zhuang Sengong, moved to Chunyang, Fujian. The offspring of Zhuang Sengong’s 17th generation grandson, Zhuang Luogong, moved to Guangdong with Southern Song (1127-1279) loyalists after a defeat by the Yuan (1279-1368) soldiers in circa 1280. As history went, the offspring of Zhuang, Zhuang Mengzai and Zhuang Zirun moved to Shenzhen during the reign of the first emperor of the Ming Dynasty (1368-1644), Hongwu (in reign from 1368 to 1398), and settled down to build a village of what is now called Shuiwei as they discovered rich portable water here. History or myth, the legendary beginning has brought historical significance and a sense of cohesion to the village. Villagers share the common family name Zhuang as well as such a great ancestor. The symbolic luxuriant banyan tree, the rebuilt antique well surrounded by ever-flowing water, and the rhyming couplet depicting the village encircled by water and wishing it to thrive for 10,000 years all add an ancient touch to the now village-turned community. 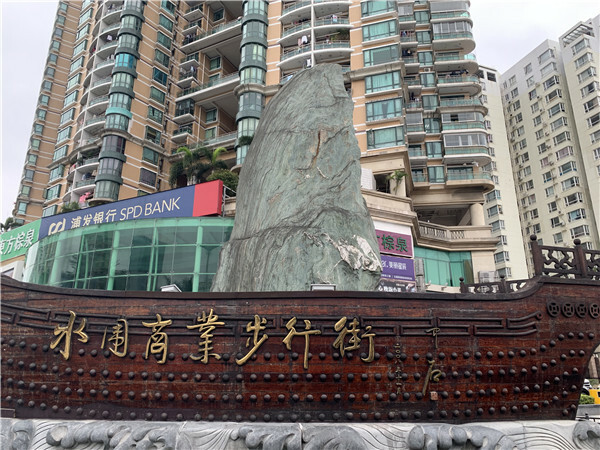 The Shuiwei Zhuangs made a living fishing and producing sea salt and became one of the groups that formed Shenzhen’s original inhabitants, speaking a dialect called Weitou that is used among original inhabitants in Luohu and Futian districts and the New Territories of Hong Kong. Now the village boasts more than 700 offspring of Zhuangzi. “What’s important is not what did or did not happen, but how the stories we tell become history, and how we use the history to shape our identities,” said O’Donnell. Along the years, water has allowed the villagers to make a living, but its practical influence gradually receded as the village went through land reclamation, village renovation and industrialization. 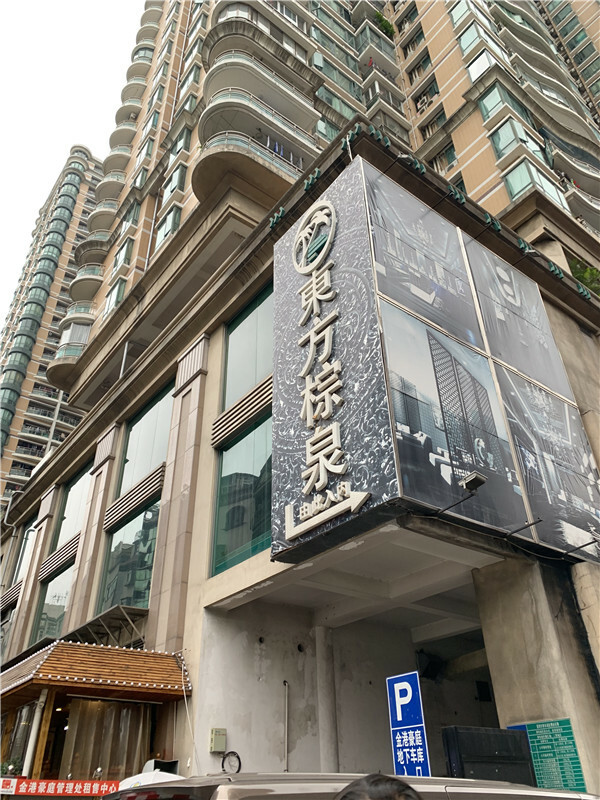 Around the 1980s, villagers traveled to and from Hong Kong by boat to buy daily necessities or odd commodities there and resell them in Shenzhen. It is said that about 100 villagers were once organized to do the parallel trading by scavenging for second-hand items in Hong Kong and then trading them in Shenzhen to earn money. In the meantime, village renovation and industrialization transformed Shuiwei village into a landlocked region. The city government annexed a large chunk of its land, including the land that is bordering on Shenzhen River, for 1.2 million yuan (US$178,000), according to O’Donnell’s introduction on the pamphlet. What was used to be fish ponds and rice paddies were reclaimed. The village soon shifted its livelihood from fishing and agriculture to manufacturing and real estate. Factories that specialized in processing and manufacturing with imported material were flourishing. Springing up like mushrooms were hand-shake buildings or kissing buildings that housed Hong Kongers and their mistresses as well as migrants who came from all over the country to seek fortune via hard work. Now that the Shuiwei administrative village has undergone several major facelifts, the now-landlocked community has become a habitable neighborhood with a touch of Hong Kong flavor. The cultural meaning of water continues to exist, but in more of an ornamental sense, noted O’Donnell when she was showing us the village scenery that has strong southern China style, featuring waterfalls, pavilions and even a small bridge over a flowing stream. The theme of water reappeared across the community as we went past several spas and congee restaurants, giving us a hint of how comfortable and convenient the neighborhood is. The rock museum in the village, which exhibits hundreds of precious rocks and stones collected from all over the world, also exemplifies the transition from “water” to “land” in Shuiwei’s cultural geography, according to O’Donnell. “At the fishpond and the surrounding garden, we see even more clearly how the cultural meaning of water has shifted from functional to ornamental. We come to view pretty rocks and fish, rather than cultivate the land and go fishing,” she said. 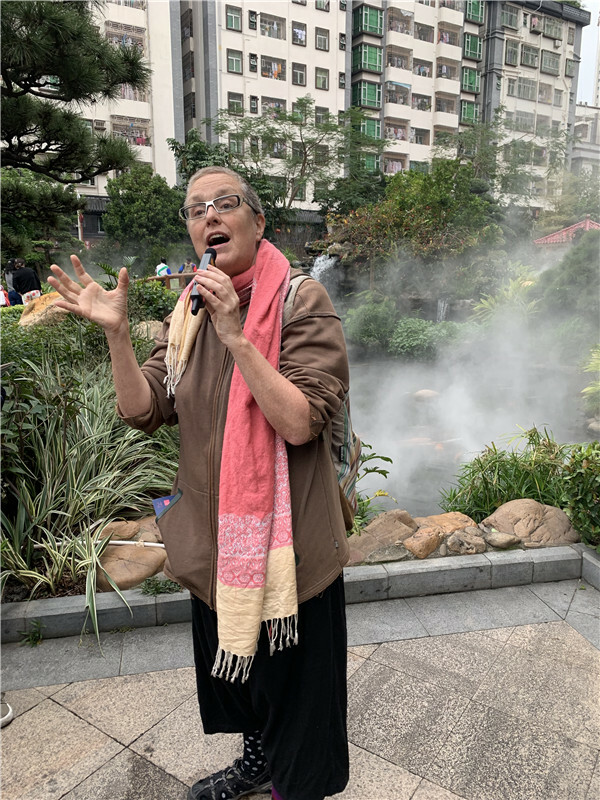 Luckily for us, O’Donnell and her colleagues will continue to lead visitors to explore places of historical importance in the city monthly under the Urban Flesh and Bones project, with Huaqiangbei, Civic Center, Shajing and Dalang coming up between April and July. The Dalang tour features a mission school established in the Qing Dynasty (1644-1911) called Pious Virgins Girls’ School. Signing up for the tour is free, and their WeChat account is 握手302 (woshou302).